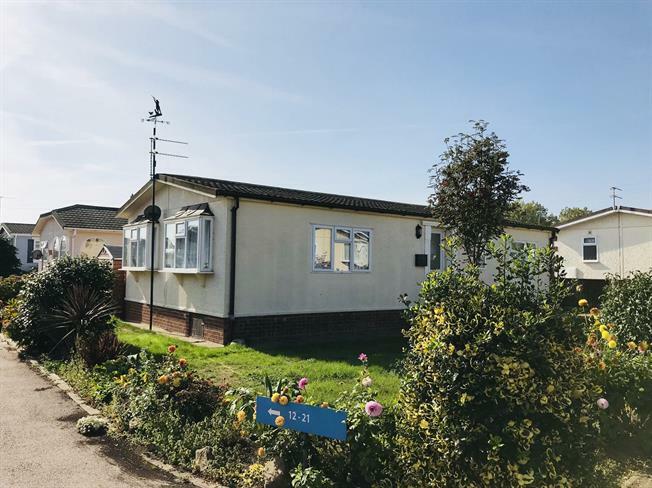 2 Bedroom Detached Bungalow For Sale in Great Yarmouth for £115,000. CHAIN FREE and SOLD AS SEEN Situated on the fantastic residential park on Breydon waters, is this wonderful two bedroom park home. Offering a kitchen/breakfast room, bathroom/wet room, L - shaped lounge/diner and 2 double bedrooms, 1 with an en-suite. This part of the park is residential for over 55 year olds and has a wonderful community feel to it. To the front is a lovely garden with a range of flowers on the outline and to the rear is an enclosed courtyard area with a storage unit. The property is being sold with NO CHAIN and would be ready to move in straight away. The area is very private and friendly. Viewing is essential. To the front is a well set out garden, mainly laid to lawn with various flowers and plants on the perimeter. To the rear of the property is an enclosed courtyard area with a storage unit.